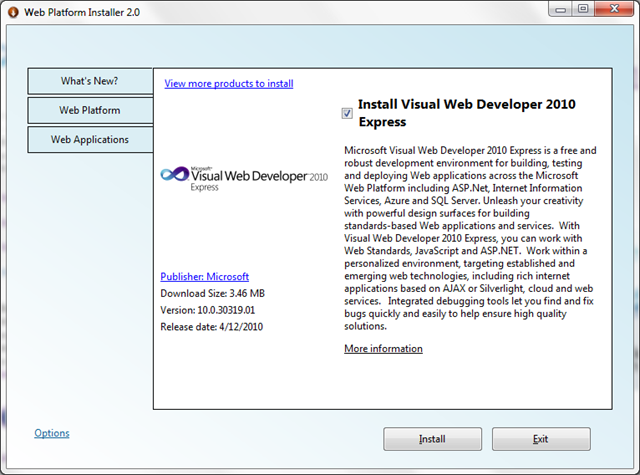 In another post, we installed Visual Studio 2010 Express, the free edition of Microsoft’s Visual Studio. 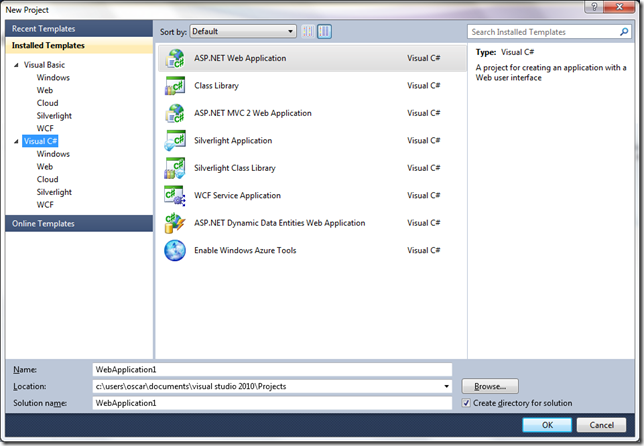 With Visual Studio Express, we can create client applications for Windows with .NET, but we can’t write web applications with ASP.NET. We need to download a separate IDE to work with web applications. But don’t worry, this IDE is also part of the Express products family, so it’s also available for free. 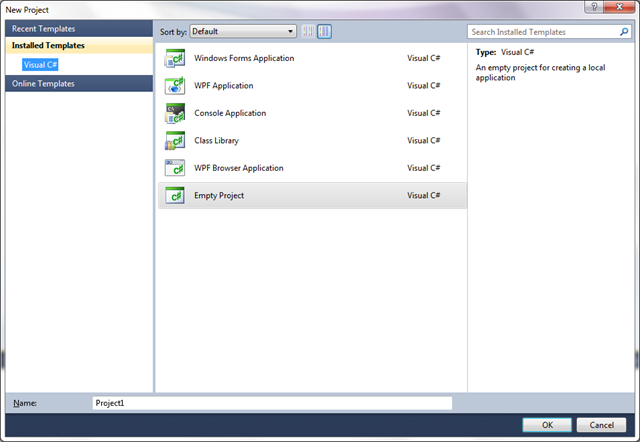 These are the types of projects I can currently create with my Visual C# 2010 Express installation. The IDE we need to install to be able to create web applications is Visual Web Developer Express. We can download it from the Microsoft Express Downloads page. The Web Platform Installer will launch from the page. 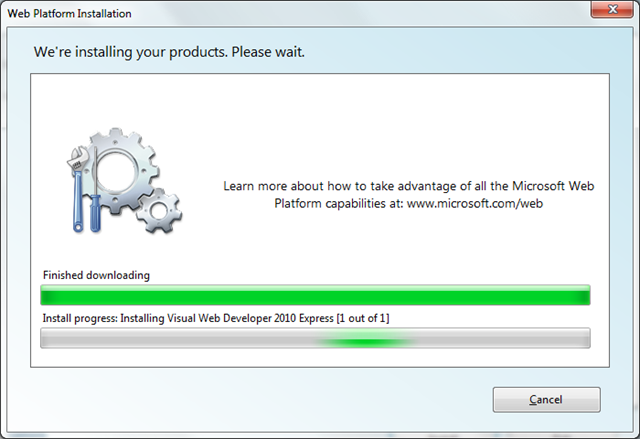 Click on the Install button to start the installation of Visual Web Developer 2010 Express. Once the installer is done, you will find Microsoft Web Developer 2010 Express under Start menu -> All Programs -> Microsoft Visual Studio 2010 Express. Here are the types of projects that we can create with Visual Web Developer Express.